We live in a time of great wickedness. What will protect us from the sin and evil of the world today? One of the ways Satan wants us to manipulate others is by dwelling upon and even exaggerating the evil in the world. 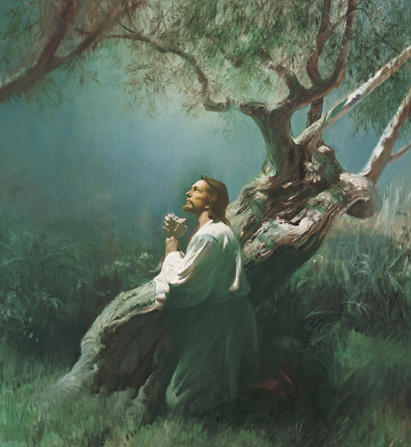 I maintain that a strong testimony of our Savior, Jesus Christ, and of His gospel will help see us through to safety. We need to understand what is going on in the world today without becoming bogged down with fear in having to deal with it. We need to arm ourselves with the knowledge of the gospel and face the future with faith rather than fear. So how do we do that? This moral relativism, where indulgence is praised and restraint is frowned upon, is a shaky foundation with no absolutes, just opinion. The next question to answer is why is this happening? 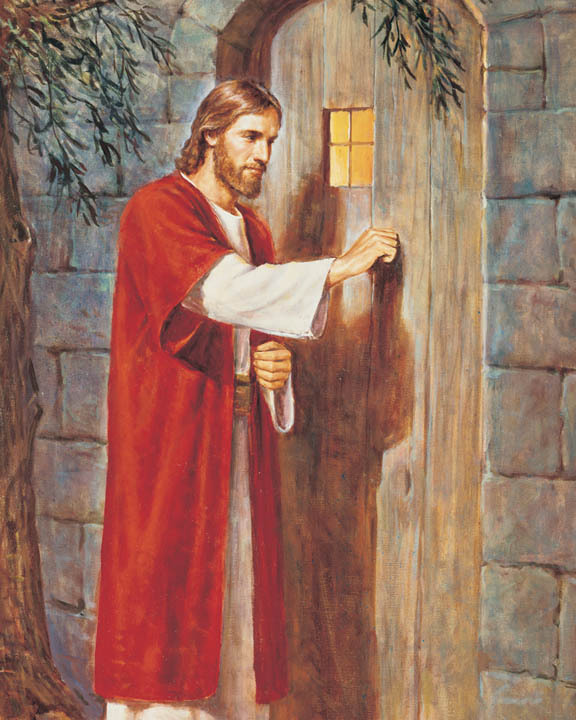 Four matters are indisputable to Latter-day Saints: (1) The Savior will return to the earth in power and great glory to reign personally during a millennium of righteousness and peace. (2) At the time of His coming there will be a destruction of the wicked and a resurrection of the righteous. (3) No one knows the time of His coming, but (4) the faithful are taught to study the signs of it and to be prepared for it. … These signs of the Second Coming are all around us and seem to be increasing in frequency and intensity. … Satan … is real, the very personification of evil. His motives are in every case malicious. … He is eternally opposed to the love of God, the Atonement of Jesus Christ, and the work of peace and salvation. He will fight against these whenever and wherever he can. He knows he will be defeated and cast out in the end, but he is determined to take down with him as many others as he possibly can. Despite pockets of evil, the world overall is majestically beautiful, filled with many good and sincere people. God has provided a way to live in this world and not be contaminated by the degrading pressures evil agents spread throughout it. … Our loving and kind Father in Heaven and His Son have prepared plans, tools, and other resources for our use so that we can build and frame our lives to be sure and unshaken. The plan is the plan of salvation, the great plan of happiness. 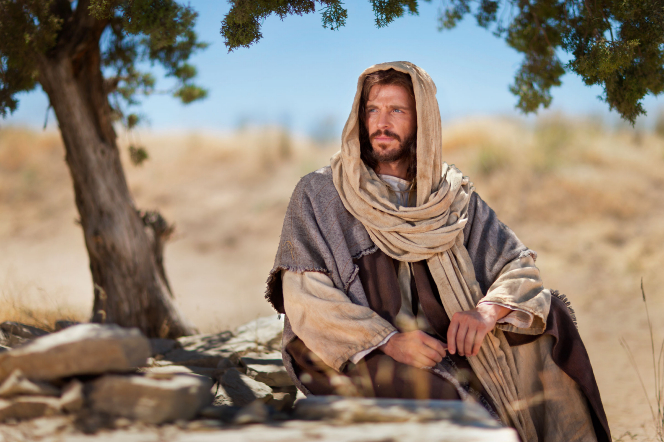 The plan lays out for us a clear picture and understanding of the beginning and the end and the essential steps, including ordinances, which are necessary for each of Father’s children to be able to return to His presence and dwell with Him forever. Faith, repentance, baptism, the gift of the Holy Ghost, and enduring to the end are part of the “blueprints” of life. They help to form the appropriate building blocks that will anchor our lives to the Atonement of Christ. These shape and frame the supporting structure of a person’s life. 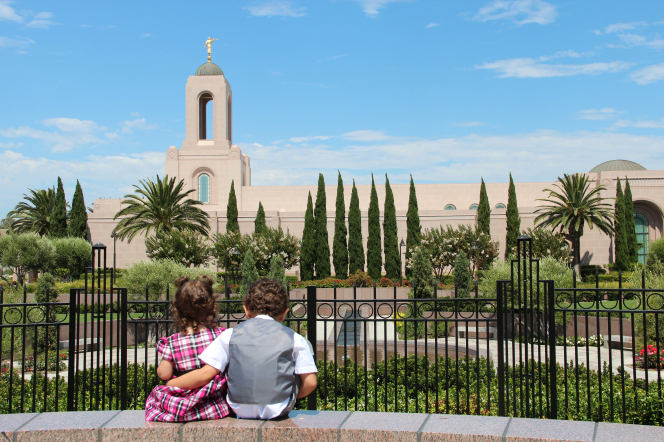 Then, just as temple plans have specifications that give detailed instructions about how to form and integrate essential components, praying, reading the scriptures, partaking of the sacrament, and receiving essential priesthood ordinances become the “specifications” that help integrate and bind together the structure of life. We find the building blocks to this foundation in the words of God’s holy prophets found not only in the scriptures but also in the modern days. 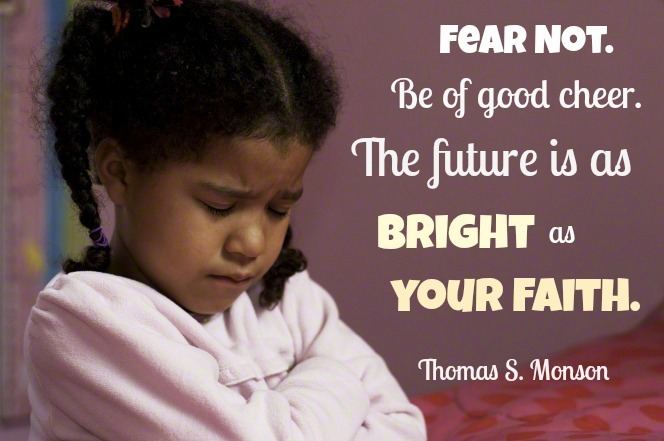 … Let us address the problem with fear. After all, who among us has never been compelled by fear to eat better, wear a seat belt, exercise more, save money, or even repent of sin? It is true that fear can have a powerful influence over our actions and behavior. But that influence tends to be temporary and shallow. Fear rarely has the power to change our hearts, and it will never transform us into people who love what is right and who want to obey Heavenly Father. People who are fearful may say and do the right things, but they do not feel the right things. They often feel helpless and resentful, even angry. Over time these feelings lead to mistrust, defiance, even rebellion. Does this mean that God condones or overlooks behaviors that run contrary to His commands? No, definitely not! But He wants to change more than just our behaviors. He wants to change our very natures. He wants to change our hearts. He wants us to reach out and take firm hold of the iron rod, confront our fears, and bravely step forward and upward along the strait and narrow path. He wants this for us because He loves us and because this is the way to happiness. So, how does God motivate His children to follow Him in our day? God sent His Only Begotten Son, Jesus Christ, to show us the right way. God motivates through persuasion, long-suffering, gentleness, meekness, and love unfeigned. God is on our side. He loves us, and when we stumble, He wants us to rise up, try again, and become stronger. And our goal should be to become like our Heavenly Father, for that is His plan for us. In a premortal council, Heavenly Father explained to us His plan of redemption. The plan was based on doctrine, law, and principles that have always existed. We learned that if we accepted and followed the plan, we would be required to willingly leave our Father’s presence and be tested to show whether we would choose to live according to His laws and commandments. We rejoiced at this opportunity and gratefully sustained the plan because it offered us the way to become like our Heavenly Father and inherit eternal life. But the plan was not without risk: if we chose in mortality not to live according to God’s eternal laws, we would receive something less than eternal life. Father knew we would stumble and sin as we learned by experience in mortality, so He provided a Savior to redeem from sin all who repent and to heal the spiritual and emotional wounds of those who obey. Jesus Christ was the Father’s beloved, chosen, and foreordained Son from the beginning. He sustained the Father’s plan and offered to be our Savior, saying, “Here am I, send me.” Thus, Jesus was appointed by the Father to be the One to live a sinless life in mortality, atone for our sins and afflictions, and be resurrected to break the bands of death. Scarcely an hour of the day goes by but what we are called upon to make choices of one sort or another. Some are trivial, some more far-reaching. Some will make no difference in the eternal scheme of things, and others will make all the difference. Our Heavenly Father knew that Lucifer—who is Satan—would tempt us and try to get us to make wrong choices. But through His Son, He offered us a way back. This is called repentance. 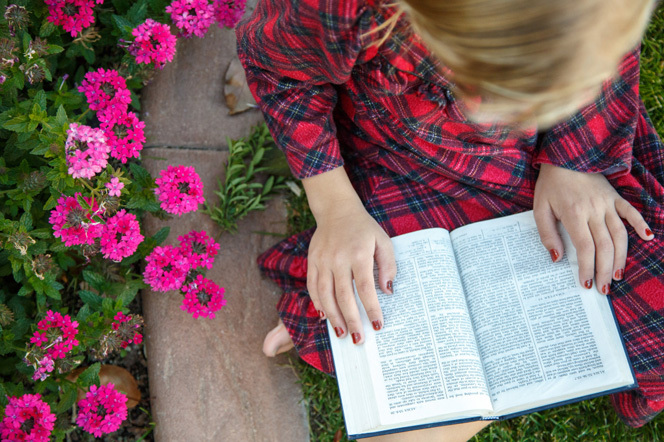 Repentance, then, is a choice to change our hearts and realign ourselves with the Savior. Many people hear the word disciple and think it means only “follower.” But genuine discipleship is a state of being. This suggests more than studying and applying a list of individual attributes. Disciples live so that the characteristics of Christ are woven into the fiber of their beings, as into a spiritual tapestry. We are, therefore, not ignorant of the challenges of the world, nor are we unaware of the difficulties of our times. But this does not mean that we should burden ourselves or others with constant fear. Rather than dwelling on the immensity of our challenges, would it not be better to focus on the infinite greatness, goodness, and absolute power of our God…? When we focus on becoming more like our Savior, we can view the world— and our place in it—with faith and trust in God.